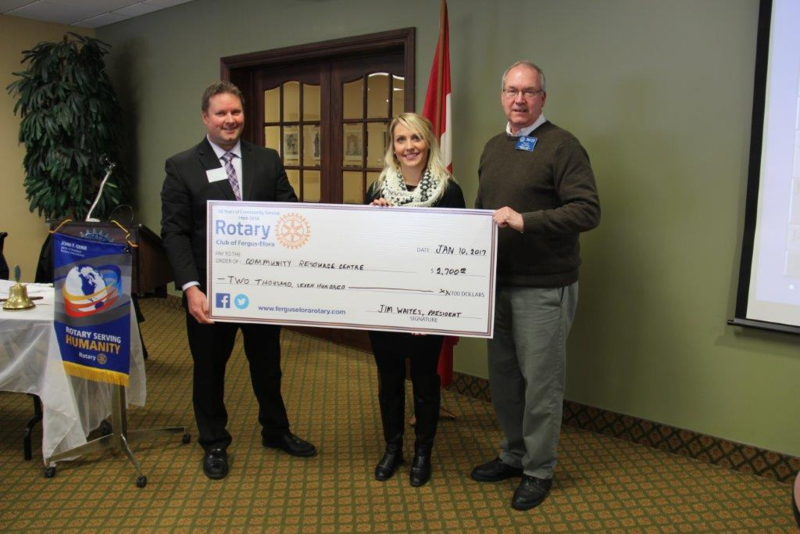 Jim Waites, Club President presented a cheque for $2,700 cheque to Alissa Cunningham and Ron MacKinnon from Community Resource Centre. $1,500 of the funds will be used to purchase swim passes for children age 1-19. Last year, 90 children from 39 families were enabled to engage in a healthy activity within walking distance of most individuals. The balance of $1,200 will be used to purchase books for young mothers as part of a kit to build literacy in young children.